News: Nigel Cabourn starts selling direct to customers - Well Dressed Dad - It is a proper menswear blog. Like, with original words and opinions and suchlike. Latest news from the Nigel Cabourn camp is that they are now not only selling via select retailers, but also selling directly through their own website at www.cabourn.com. This is a trend in the industry now, with traditional retail outlets under great pressure from the large online fashion retailers. With Nigel Cabourn clothing being stocked and dropped by a number of retailers in recent years, it most likely makes sense to also deal direct with the customer base, both for the regular collections, but also for limited edition pieces. Site is a step up from the usual retailers presentation-wise, with both excellently presented images and the decently written text-descriptions. Worth perusing even though you might not be in the market for high-end kit! 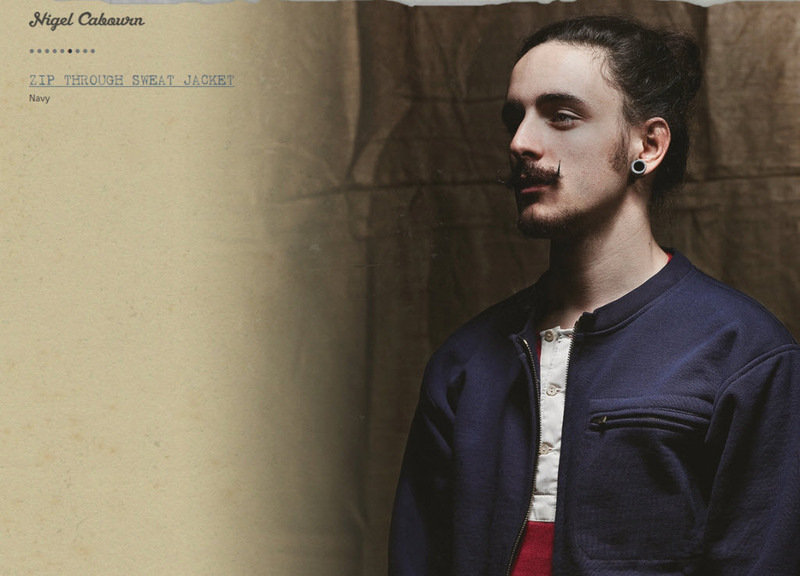 Also worth checking out at the moment is major Cabourn-detaler Superdenims “outlet” site at Marrkt.com. Currently offloading the remnants and samples from the Nigel Cabourn X Eddie Bauer collection. Decent discounts to be had on quality kit!